Whether you buy it premade or whip it up at home, this non-toxic solution promises to wipe out your garden pest problem—without harming the rest of your patch. 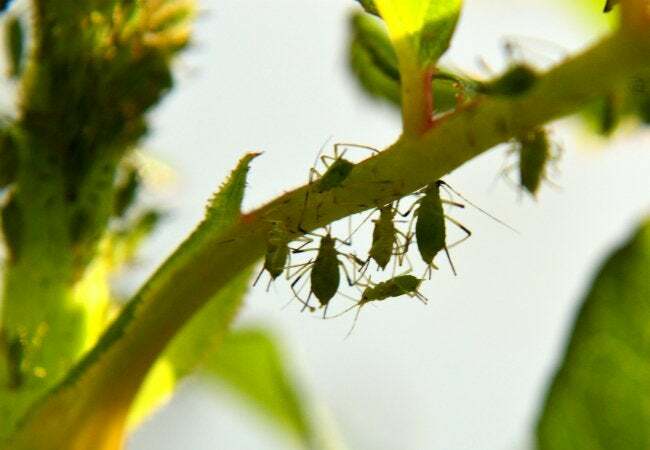 Are aphids gnawing on your heirloom roses? Are spider mites munching on your tomato plants? If garden pests are bugging you but you’re not a fan of toxic pesticides, take heart; there’s a safer fix. Insecticidal soap is a low-toxicity bug control solution favored by natural and organic gardeners because, when applied regularly, it maintains the ability to protect plants without resorting harsh chemical concoctions. Keep it “green” in the garden with this complete guide on when, where, and how to benefit from insecticidal soap. What Exactly Is Insecticidal Soap? The active ingredients in insecticidal soap are potassium salts of fatty acids (also known as soap salts), which are created when the chemical compound alkali mixes with the fatty acids found in natural oils, including castor oil, coconut oil, and olive oil. The resulting mixture kills soft-bodied garden pests such as aphids, mites, and mealybugs on contact—not beneficial hard-bodied insects like ladybugs and other beetles—all without leaving toxic residue in the soil! The catch: Insecticidal soap only works when wet, and loses its effectiveness after it dries. A half-dozen brands of insecticidal soap can be found at your local garden center, but you also have the option to create your own solution at home from everyday products. Since both choices have their pros and cons, it’s best to weigh them before selecting the one that’s best for your needs. 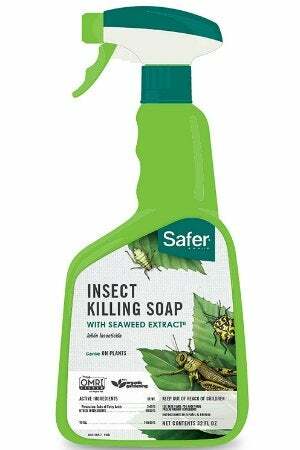 Ready-to-use insecticidal soap comes packaged in a spray bottle priced between $5 and $15 for a 32-oz. bottle depending on the brand. Many gardeners like the idea of the ready-to-use product because it’s already mixed in the correct proportions so there’s very little risk of plant damage. The bottle may be labeled as “Suitable for Organic Use,” or “Safer for Plants and Vegetables,” but if a commercial bug-killer is a true insecticidal soap, its bottle will list “potassium salts of fatty acids” or “potassium laurate” as ingredients. Insecticidal soap also comes in a concentrated solution to be mixed with water. If you buy the concentrated solution, you’ll also need to invest in a spray bottle (or pump sprayer), but purchasing this form can save you money in the long run. A 32-oz. bottle of concentrated solution costs between $15 and $30, but it will make five or six times as much spray as a ready-to-use product. If you’re interested in saving even more money, you can make your own insecticidal soap. Just be sure to follow the recipe carefully: Using too much soap can make the solution too strong, which puts your plants at risk. Fill a 1-gallon jug with water—either distilled or tap, as long as yours is not hard water (hard water reduces the effectiveness of insecticidal soap)—and leave a couple of inches at the top. Then add 2-½ tablespoons liquid dish soap (Dawn or liquid castile soap are good choices) and 2-½ tablespoons vegetable oil. Screw on the lid and shake the solution to distribute the ingredients, and immediately pour the solution into your spray bottle. You’ll want to shake the jug each time you refill the spray bottle in order to maintain the right ratio of ingredients and not distribute a formula that’s too light or too harsh. Likewise, give the spray bottle a good shake before you apply on any leaves. Although insecticidal soaps are safe for many flowers and vegetables, a few plants are sensitive to the solution and can suffer leaf damage. Among the most susceptible plants are sweet pea, begonia, impatiens, azalea, and rhododendron. 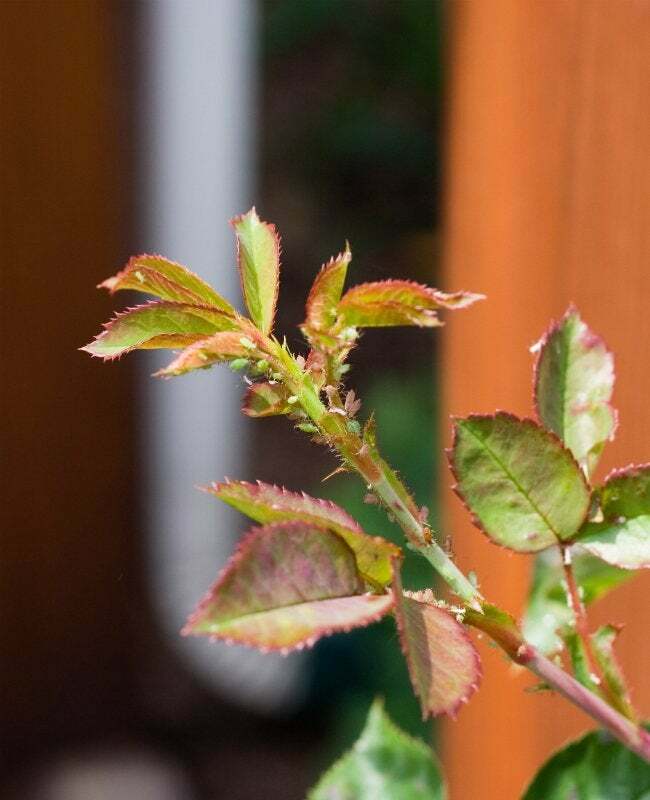 If it’s the first time you’ve treated a plant and you’re unsure whether it’s safe to use insecticidal soap, err on the side of caution and do a sensitivity test first. 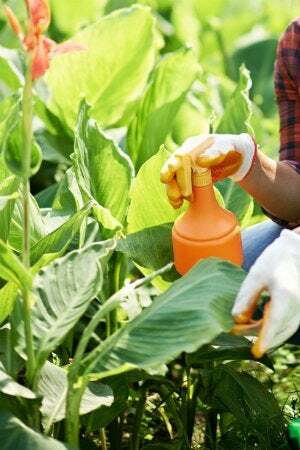 Spray the solution on just two or three leaves of the plant, and then examine the plant after 24 hours. If the leaves have wilted, do not treat the plant with insecticidal soap. But, if the leaves look just as healthy as they did before, it’s safe to spray the rest of its limbs regularly. When used as directed, insecticidal soap will not harm pets, birds, or wildlife. That said, it presents a slight risk of toxicity to fish, so it’s not advisable to treat aquatic plants or plants near fish ponds. Spray an even mist of insecticidal soap where garden pests typically hide, including under leaves and on a plant’s main stem. The goal is to cover all plant surfaces with enough spray to make the leaves wet, but you don’t have to use so much that the solution drips off the leaves. And, because this mixture is entirely eco-friendly, it’s safe to spray directly onto fruits and vegetables such as peaches, apples, tomatoes, zucchini, and pumpkin. Repeat the application process every four to seven days, as needed. Because insecticidal soap only kills insects when it’s wet, it’s a good idea to treat plants in early morning or late evening when the solution won’t evaporate as quickly as it will in the heat of the day. With fair weather having arrived finally, it’s time to turn your home improvement efforts to the backyard and your deck, porch, or patio—the parts of the home built specifically to enjoy the extra hours of sunlight. Guided by these practical pointers and inspiring ideas, you can introduce beauty, comfort, and utility to your backyard and outdoor living areas, making them as inviting and enjoyable as your home interiors.